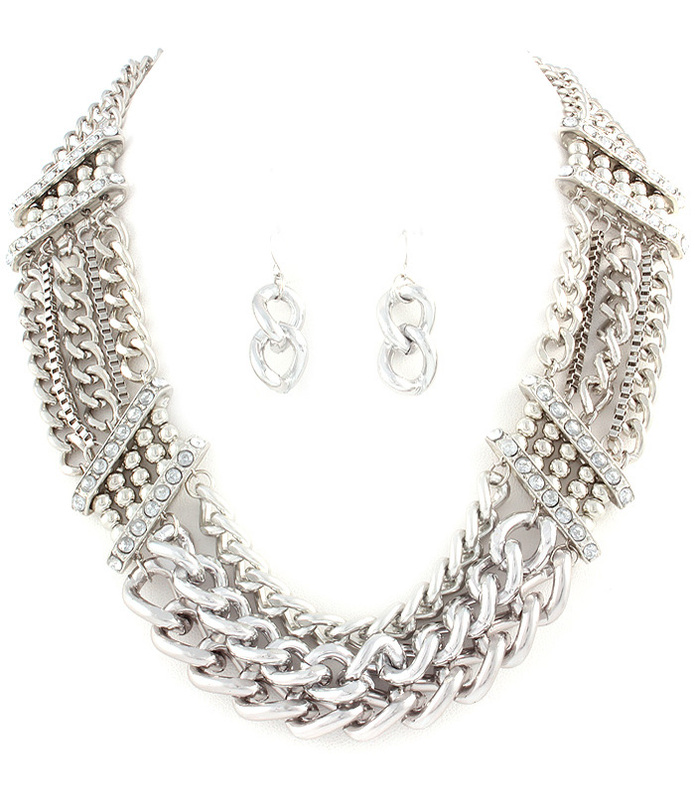 Nell necklace comprises of three large chains with two tiny chains in between. Sparkling metal inserts embellished with clear crystal studs add delicacy to the design. Unobtrusive silver tone earrings. Shop from Australia's largest range of necklaces online here and now!